Located in the heart of downtown St. Catharines, come and grab a beautiful bite to eat at our 12 Queen Street Location. Born and raised in Vietnam with a passion for cooking, she attended culinary school while studying in Vietnam and learned how to appropriately prepare numerous Vietnamese dishes. 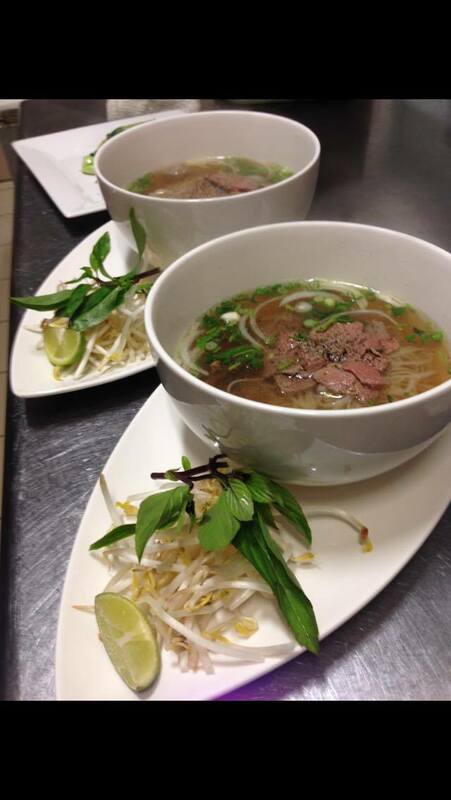 With over 17 years of culinary experience mastering authentic and delicious Vietnamese and Thai cuisine. She uses the best of her ability to produce every dish with unique, fresh ingredients that allow her dishes to come to life for all to enjoy. Her signature dishes include the famous Vietnamese Pho, and her traditional family's secret recipe, Crispy Roast Duck. Come, indulge and be inspired. "I vow to make the best food I possibly can. I hope that the community can come out and enjoy our wonderful menu." Every plate achieves that elusive, cuisine-defining balance of sweet, salty, and sour — even our desserts. Huong's Kitchen is a distinct and friendly experience where you will enjoy delicious cuisine. We offer traditional Vietnamese dishes like PHO soup and Bun (rice vermicelli), while also balancing out with rice noodle plates like Pad Thai. With appetizers like Crispy Shrimp Rolls, Crispy Wontons, Vegetarian Fresh Spring Rolls or Vietnamese Fresh Rolls with Shrimp you will not be disappointed. We also offer a collection of red and white wines from the Niagara Region.